Custom Home Boasting with upgrades and extras. Gorgeous stained concrete floors Designer paint. Granite slab counters, Alder cabinets with slow closing,Vessel sinks, Travertine stone throughout kitchen. 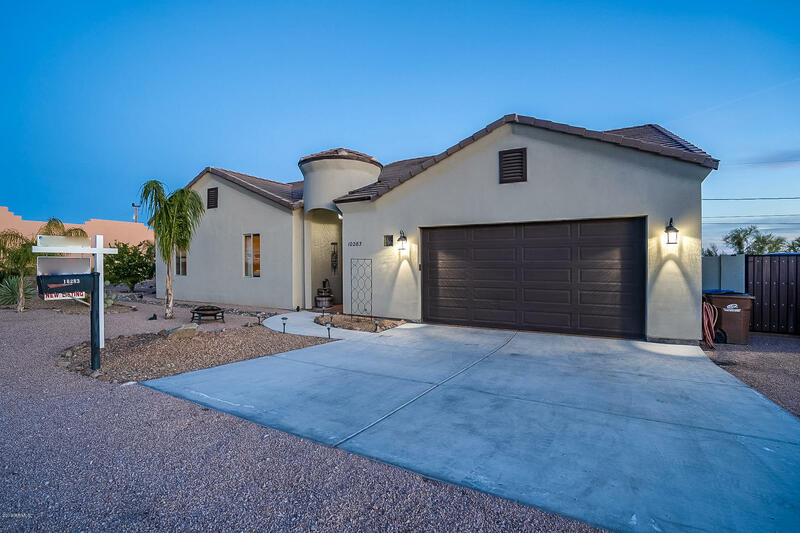 Fireplace, Custom wood doors, Custom fans, fixtures and hardware Jacuzzi tub and walk in shower in Master bath,Whole house water filtration system Outside retreat with artificial grass and plenty of room to entertain. Oversized garage, Possible Rv Parking & so much more..